35mm, Medium Format, Large Format: Which Should You Choose? If you're just getting into shooting film, one of the first decisions you'll have to make is what format you'll be shooting. If you ask around, you'll get many varied responses as to the advantages and disadvantages of shooting 35mm, medium format, or large format, but I wanted to make an article that shows some basic advantages and disadvantages of each medium as well as a photo test to give you some concrete comparisons of the same subject. 35mm is by far the cheapest way to go when getting into shooting film. You can pick up a used camera for a few bucks, and they're so ubiquitous that some people just give them away. Older manual lenses can be had for pennies on the dollar of their original price as well. Here are some other advantages and disadvantages of 35mm film that you may or may not have thought of. Familiar format: if you've shot full-frame digital, getting used to framing a shot is easy as it's the same viewfinder you're used to (albeit it's usually easier to manual focus on film cameras than digital). Speed: loading and unloading film, even on completely manual cameras, is pretty intuitive, quick, and easy. Shooting is speedy as well, as the viewfinder shows you almost exactly what your shot looks like in real time. Rangefinders are an exception to this, but once you get used to the mechanics of one, it can be even faster than shooting with an SLR. Leicas are popular street cameras for a reason! Availability of lab development: if you're looking to use a local lab to cut down costs, you can still find the occasional drug store that will develop 35mm film on the cheap. Almost any mom and pop camera store will develop it along with national labs. Did I mention it's cheaper? From the film to the development to the cameras, if you're looking to keep the budget tight, it's hard to beat 35mm. Resolving power: 35mm is a small format and hence has much less resolving power than medium or large format. If you plan on regularly printing above 11x14, you might want to take a serious look at the other formats. That said, photojournalists have been making poster and larger sized prints from 35mm negatives and slides for years. A little grain never hurt! Greater depth of field: If you're looking to get shallow depth of field, especially at wider angles, it's much more difficult with a smaller format. When you're dealing with telephoto distances or closer shots, this is less of an issue. Cropping: The 35mm frame does not lend itself as well to typical crops such as 8x10 and 11x14. You will lose a bit of the image or end up with negative space. From 6x4.5 to 6x6 up to 6x17 panoramics, medium format probably has the most versatility in choosing your frame. 6x4.5 (that's centimeters, not millimeters) is the easiest to shoot, as many of the cameras are similar in form factor to 35mm SLRs. 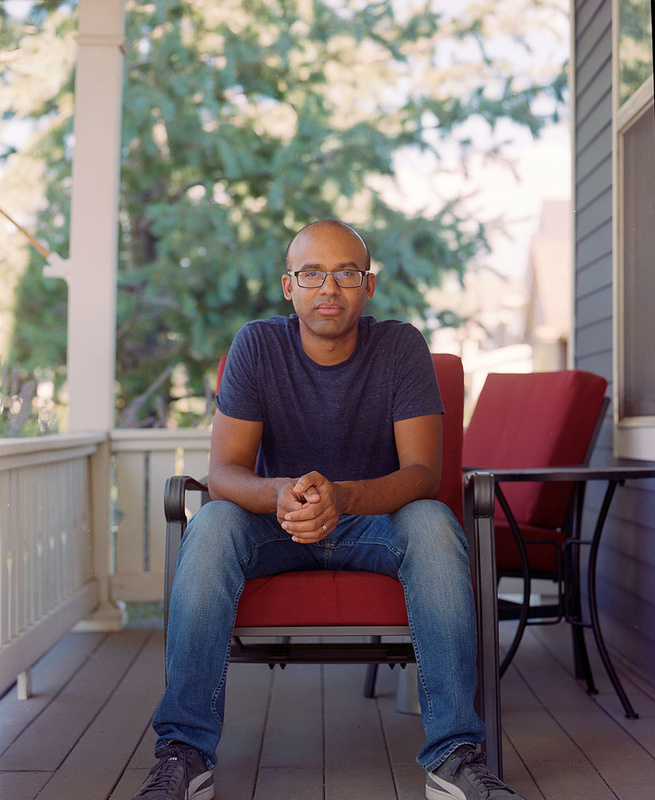 Square format 6x6 cameras are a lot of fun as well, with Hasselblad being the big name in the bunch. 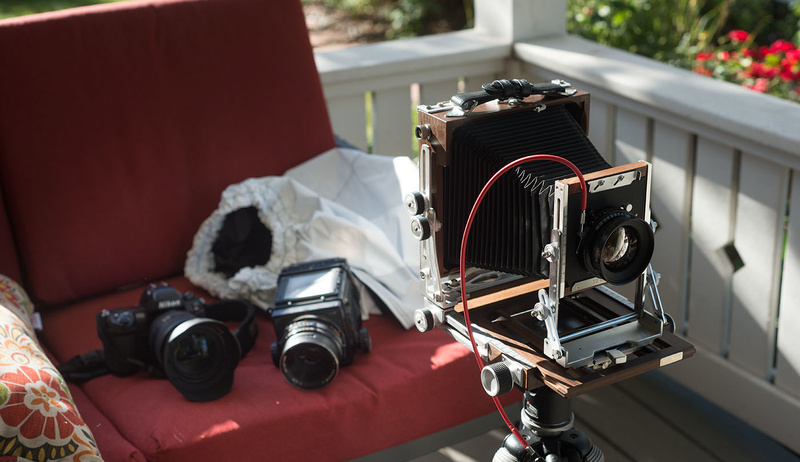 6x7 cameras (one of my favorite sizes) can be a bit bulky and heavy, with tripod use becoming more of a necessity for stability, although some 6x7 cameras feel great in hand as well! The Pentax 67 and Plaubel Makina 67 come to mind. Resolving Power: the jump from 35mm to medium format greatly increases the image fidelity you can achieve in your prints. 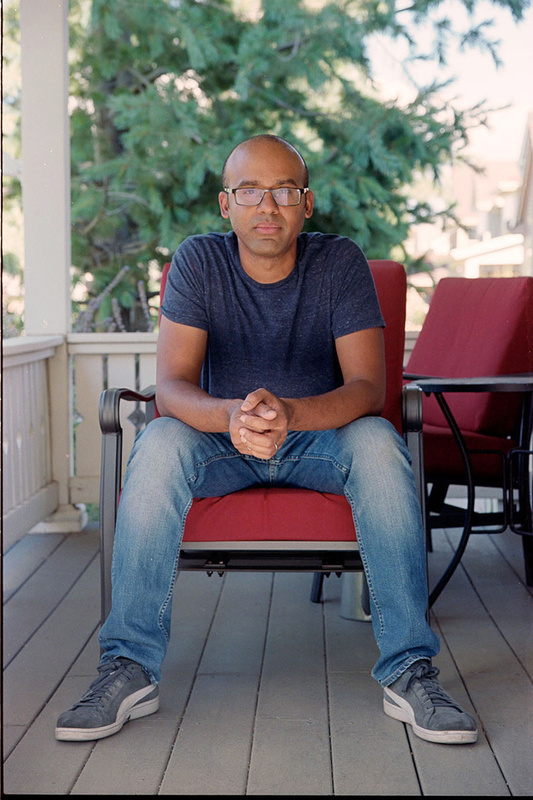 When you look at scans from a medium format camera compared to 35mm, the size difference really starts to add up. Shallower depth of field: there's a reason portrait and wedding photographers from the 70s to 90s were all about medium format. There's something magical about the falloff and depth you can get, making them a natural for portraits. Cropping: some of the formats, especially 6x7, lend themselves to magazine layout much better than 35mm. The Goldilocks factor: medium format cameras inhabit the Goldilocks zone of cameras, with much of the speed of 35mm and a taste of the quality of large format. Many medium format cameras even have autofocus. Variety: the 120 film size can be used with most cameras, so you don't have to switch to a different film type every time you switch medium format sizes. Modularity: a lot of medium format cameras are modular, so you can separate the film back and the prism from the body. This represents a huge advantage as you can switch films in mid-roll simply by changing the film back. Easier to scan than 35mm film: with a larger negative, the film doesn't curl quite as much, making flatbed scans easier. Size: medium format cameras tend to be larger than their 35mm counterparts, and with that size comes weight and inconvenience. There are exceptions to this as well, but when you decrease the size, you may lose some advantages the format offers, such as modularity. Speed - From the autofocus (if it exists) to loading the film, using a MF camera is inherently slower. If you have a waist-level finder, the viewfinder image is also laterally reversed, so that does take some getting used to. Many people see the speed issue as desirable, however, because of the need to slow down and really focus on the scene. Higher cost: with less exposures per roll and less variety of films available, cost may become an issue. It's also typically more expensive at labs to develop 120 film. Scanning is also more expensive. The cameras can also get pricey as well, especially since many are sold used with the body separate from the finder/back/prism. With bodies ranging in size from a few pounds to the size of a truck (literally), large format cameras are the big daddies of the photography world. Pumping out negatives that makes 35mm cower in fear, they rule the roost in the image quality department. Not only do they offer superior film resolution, but many other processes, such as tintype, make the variety of images you can create unparalleled. But with that quality and variety there is a cost. Image quality: nothing else in the film world comes close. Looking at a slide of even 4x5 film may make you cry. You've been warned. Perspective correction: with most large formats, movements are offered which can correct keystoning in images, render everything in focus from top to bottom and left to right of an image, and even selectively focus on parts of an image. Ease of scanning: with a larger piece of film, it tends to lay flatter and be easier to scan on flatbeds. 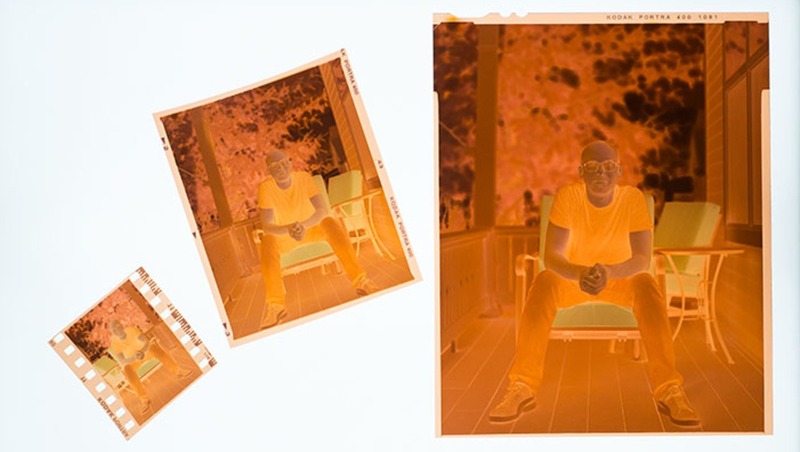 Alternative processes: because of the size of the medium, it's easier to introduce different processes from tintypes, pinhole, to shooting directly onto paper. Cool factor: not only do the cameras command attention, but if you're into shooting portraits of strangers, the wow factor of the camera itself will often help subjects become more agreeable. Size: the cameras are pretty massive and heavy in many cases, although many of the field cameras are made of lightweight wood to keep weight to a minimum. That said, with that weight comes the necessity to use a sturdy tripod, adding even more weight to your kit. Some press cameras were made to be shot handheld, but they are the exception. Complexity: although it can be said that large formats cameras are the simplest in terms of parts, there are also many more opportunities to mess up, completely ruining your exposure. Cost: although the cameras can be had cheaply, the film and development is very expensive. Many labs won't even offer flatbed scanning, and you'll have to spring for drum scanning. Although drum scanning is nowhere near as expensive as it used to be, it ain't cheap. Cool factor: although the cameras attracting attention can be advantageous, if you're looking to concentrate on your photography, strangers walking up to you to chat may not be desirable. Yeah, but what do the photos look like? Try not to focus much on resolution and more on how the feel of the image strikes you. Do you like the depth of the larger formats? If so, is it enough for you to deal with the inconveniences? What was your preferred format when you were starting out? Again, resolution and sharpness shouldn't be judged from this quick test as running back and forth and lack of control will cause shifts in quality of focus. Any advantages or disadvantages that I missed? Questions about the formats? Sound off below! Shooting film in 35mm is not unlike shooting with the modern digital cameras. Of course, it forces you to make every shot count, but you don't have a really different experience from the modern mainstream digital cameras. And the modern chips have higher resolution than 35mm, so film doesn't really excel at this small size. I'm partial to medium format and larger for the groundglass on which to compose the image, and for the extended controls that the larger cameras bring to the game. I prefer to shoot black and white, since it requires me to concentrate on the composition of my subject. Color tends to fool the eye, and we often accept a poorly composed image if it has punch and color. Not so with black and white! A view camera is amazing for it's swings and tilts. You can make image adjustments that are simply not possible with the mainstream digital cameras. I really appreciate all the articles on film shooting you've been posting. Nice work again! Nice article that does a good job of presenting the pros and cons. 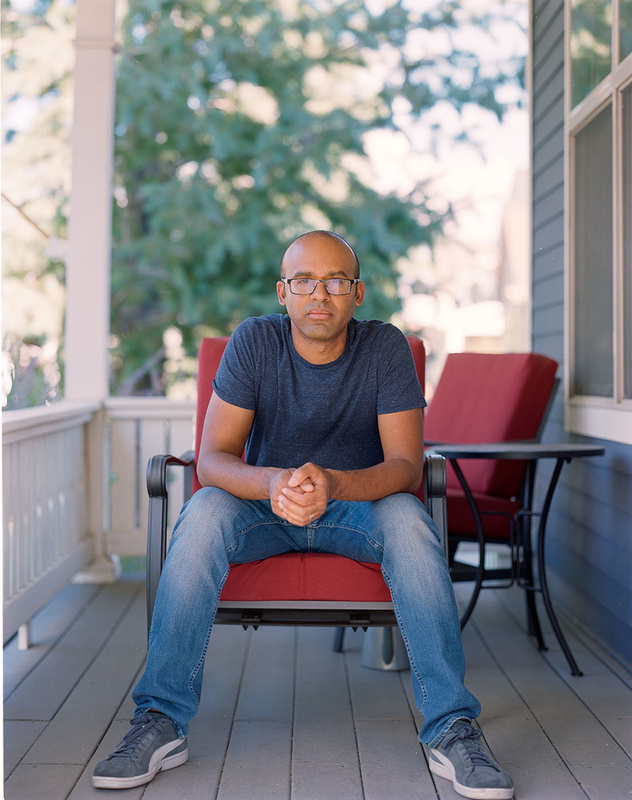 I just finished rolls in my Mamiya 645 and Cannon 7 this weekend. Could we get one on scanners? Pretty please? Agreed. Even with a pretty nice flatbed scanner I don't seem to be getting the type of scans I see other people getting from the same equipment. Any articles that would help in that matter would be great. I certainly don't profess to be the best scanner in the world, but I'll look into it! I use an Epson V700 and can usually get decent results with Silverfast or Epson Scan. Epson Scan is a bit temperamental, though. Have you tried the wet mounting gizmo for the V700? God no. I'm WAY too lazy for that. Very concise article with a lot of great information for those new to or considering film. Having shot with all formats, I have to say that, to me at least, 35mm is dead. I honestly see no advantage over shooting digital. Medium and especially large formats are where I think film truly shine and where you start to notice how the different film sizes affect depth of field, etc. 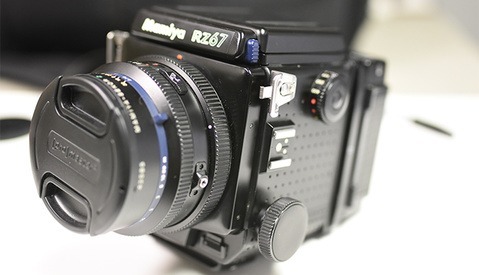 I haven't had the pleasure of using the Mamiya 7, although I hear everything I hear is pretty positive. 35mm is fun, but I'm kind of in the same boat. There has to be enough of a difference to justify the trouble of film and DSLRs are great. I had a chance to get either a 7 or AFDii a few years back and went with the AFDii because of the AF and ability to add a digital back. I never could justify the price of a digital back and ended up selling the AFDii to pay for a D800. Looking back I wish I had gone with the 7. It was an absolute dream to shoot once you get used to the fact that it is a rangefinder and the images are incredible. Personally, I don't shoot 35mm film for DOF. It definitely doesn't have the DOF advantage my Pentax 645 has. I shoot color neg film on 35mm for it's color. The color of properly exposed Portra 400 or 160 is unmatched by ANY digital camera in my opinion. I can look at an image, and guess correctly probably 90+% if it was shot on film or digital. The difference is stark to me. Agreed, the "look" (color palette) of film is unmistakable to anyone who shoots a particular stock regularly, just as the depth of field creates the "medium (or large) format look" people talk about so often. What I was getting at is that of all the film choices, I would pick large and medium format over 35mm any day. That said, I also happen to have all the options available to me. If one doesn't have multiple formats available to them, 35mm is a good introduction to the world of film for those who have never shot it and far more readily available. Great article. I have been shooting with a Pentax 645D and decided to pick up a 645 film body since I already had several old lenses. I really like the results of the images, but I absolutely love the experience of slowing down, metering the light about a dozen times, and thinking a lot more before I press the shutter. It has given me a greater appreciation of film photography. 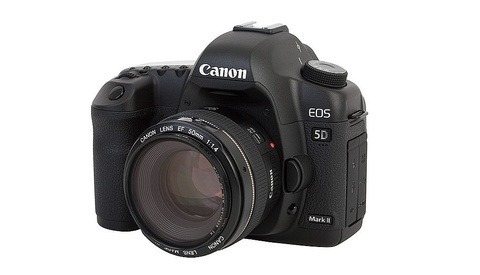 I've thought about picking up a 645D, actually. But I wondered if the crop sensor on it is too similar to 35mm size to truly get the medium format feel. What are your thoughts? The 645 negs are awesome, still waaaay bigger than 35mm. I had the Pentax 67 for years and ended up selling it and settling with a Mamiya 645 1000S. The difference in quality is there, but it's totally acceptable, easy to scan and it still looks like MF. Going on vacation to the eastern Sierra's next week and am taking a 35, 645 and 4x5 system. Good timing with the article! I have a Pentax 6x7 and it's great. Good article. Great timing with this article. I am about to start using a Graflex Super Speed Graphic 4x5 and the comparison to the look of medium format (I shoot 6x6, 6x7 & 6x9) is something I was going to test myself. Now off to the interwebs to buy film. As someone who loves 6x7 and especially 6x6 (I have a thing for my Hassy and the square format) I can say that even they look small in my hands after shooting 4x5. I'm pretty sure you will be happy with the results. Great article, love all the film attention! Would really appreciate an article about colour correcting film once scanned. I have nightmares trying to get anything close to right when I scan myself compared to lab scans. Any help would be appreciated.